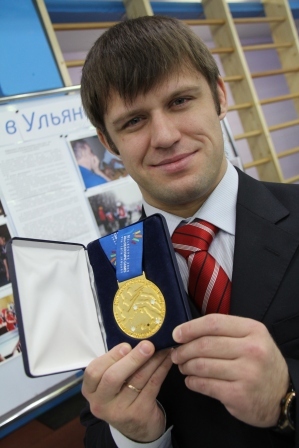 Our Christmas Day inbox included a message from Russian Deaflympic wrestler Eugene Golovanov thanking us for highlighting the issues over the RSDC submitting a falsified audiogram in his name. We can confirm by his message that we received this morning, that the sum of 100,000 rubbles was deposited into his bank account on 19th December, this was unknown to us as we promoted the story on 21st December – so we are pleased to see that Eugene has been compensated for moral damages. It is not known to either Eugene or ourselves, if this deposit was made in the knowledge that we were going to go public with the story or if it was a happy coincidence. This entry was posted in Audiograms, Deaflympics, Eugene Golovanov and tagged Audiograms, Deaflympics by sharrison64. Bookmark the permalink.